I bet you thought you knew how to walk properly, didn't you? 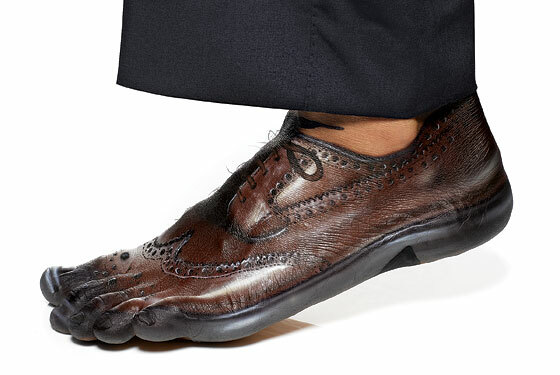 The new trend in footwear is shoes that keep our feet in a more natural state. If these shoes look like they're paint on, it's because they are.